The remaining 6 members of the team toddled off to church this morning. It was absolutely jam packed and people just kept coming in. A young man was introduced who had always longed to be a doctor, but had no possible means of paying for the study; but everyone was celebrating today because he has just won a full scholarship. He was very happy. Then another couple, with a little baby came out. The husband was weeping, and apparently, people have been praying for him for many years, and he and his little wife have just accepted the Lord. 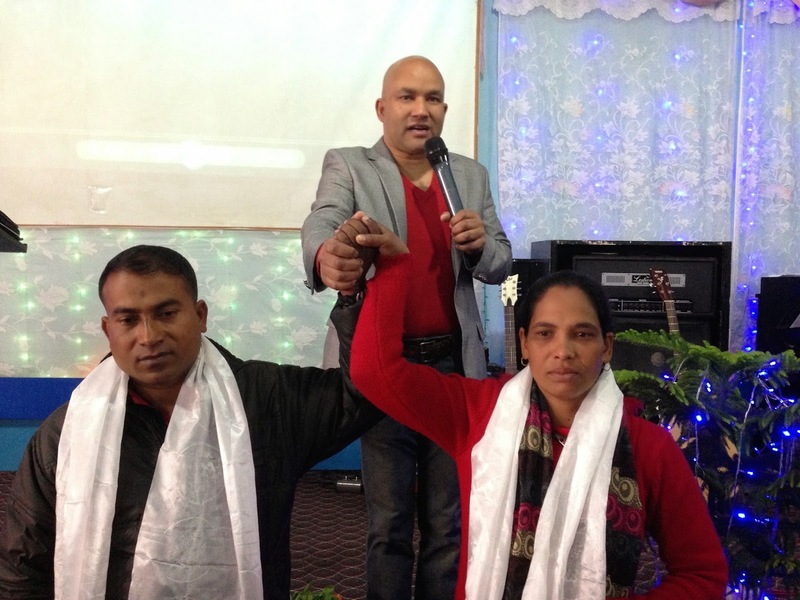 Also, after church, Raju led another man to the Lord, and a third one, who couldn't control his weeping, will be reconnecting with Raju tomorrow. We also had another couple prayed for who are going as missionaries to India. It is a marvellous story we will share when we come home. We also attach a photo of a beautiful little boy who belongs to one of our ladies at the half-way house. When we first met him, he was a little limp, lifeless boy about 10 months old. He is such a gorgeous little fellow now. He was with us at the half-way house birthday party the other night, dancing around with the rest of us. It is so great to see the wonderful things happening in this country. What a privilege.